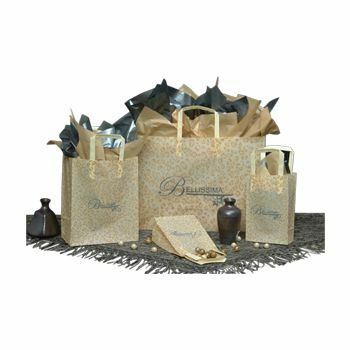 Frosted poly bags look great and are available in a number of size and design options. 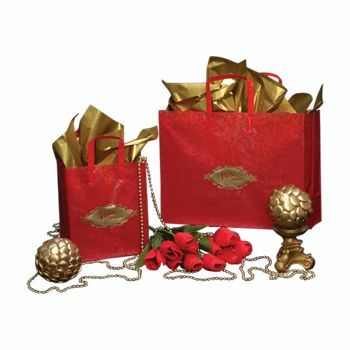 They are also durable and strong, ideal for most small purchases. 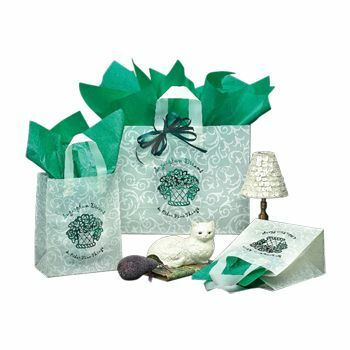 Pack customer purchases in these frosted poly totes, and you will make a positive impression on them. 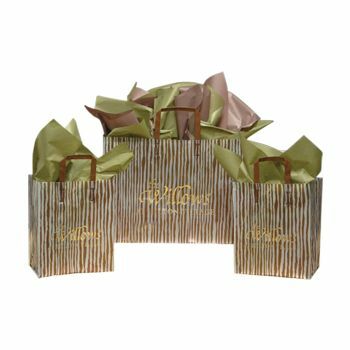 These bags are made of frosted plastic and are reinforced by a cardboard bottom. 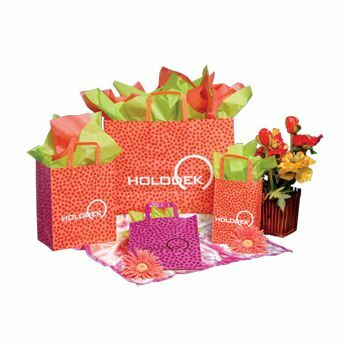 They are available in a number of patterns, and each of these totes comes with a sturdy tri-fold handle for maximum durability. 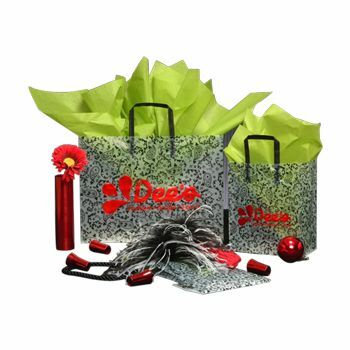 The totes can also be custom printed with your logo and information. You can choose rush ordering at checkout, and on-time production is always guaranteed.